This Cassidy 4 in. 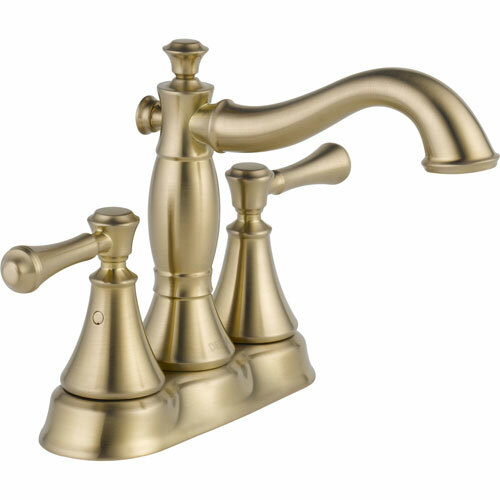 2-Handle High Arc Bathroom Faucet in Champagne Bronze is the obvious choice for a timeless, traditionally-styled bath. Inspired by an 1800s ad for a Victorian corset, the bottom of the faucet is pulled in like a cinched corset, adding visual tension with elegant detailing. The Cassidy collection's classical design plays off of the hugely popular Victorian-esque architecture. This WaterSense labeled lavatory faucet flows at a water-efficient rate of 1.5 gpm, helping you to effortlessly conserve water.